RAPAPORT... 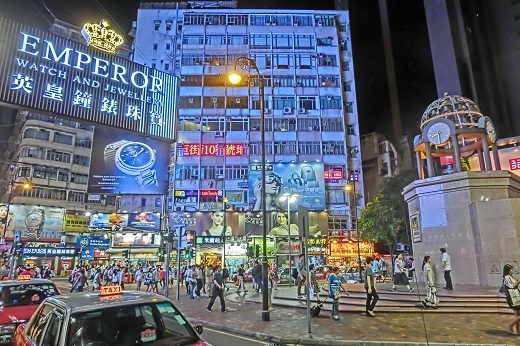 The pace of sales of jewelry and other luxury items slowed in Hong Kong in September, as poor weather and trade fears drove down tourism traffic to the municipality. Sales rose 2.2% to HKD 6.15 billion ($785 million) for jewelry, watches, clocks and other valuable gifts, according to data from the Census and Statistics Department. The growth was well below the 20% increase it had for the first nine months of the year, at HKD 64.33 billion ($8.21 billion). Total retail sales in Hong Kong grew 2.4% to HKD 36.57 billion ($4.67 billion). The retail outlook for Hong Kong will likely rebound as the employment rate continues to rise and tourism to the country increases, the spokesperson explained. However, the government continues to monitor “external uncertainties and weaker asset markets,” which may affect consumer sentiment, the spokesperson added. In China, retail sales of gold, silver and jewelry jumped 12% to CNY 23.6 billion ($3.41 billion) for the month, the National Bureau of Statistics of China reported recently. Total retail sales in all sectors for China climbed 9% to CNY 3.2 trillion ($462.8 billion). In the nine months from January to September, sales of gold, silver and jewelry in China went up 9% to CNY 204.4 billion ($29.56 billion). In September, the total number of tourists to Hong Kong grew 1.8% to 4.7 million, according to the Hong Kong Tourism Board. Of those visitors, 3.7 million came from mainland China. In the first nine months of the year, the number of tourists visiting Hong Kong jumped 10% to 46.7 million, with 36.6 million of those arriving from the mainland.